If you’re looking for something fun to get in to this weekend, look no further than The Connection! 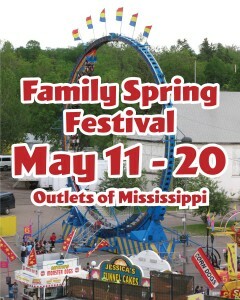 The Family Spring Festival kicks off tonight at 5 pm in the Outlets of Mississippi parking lot! 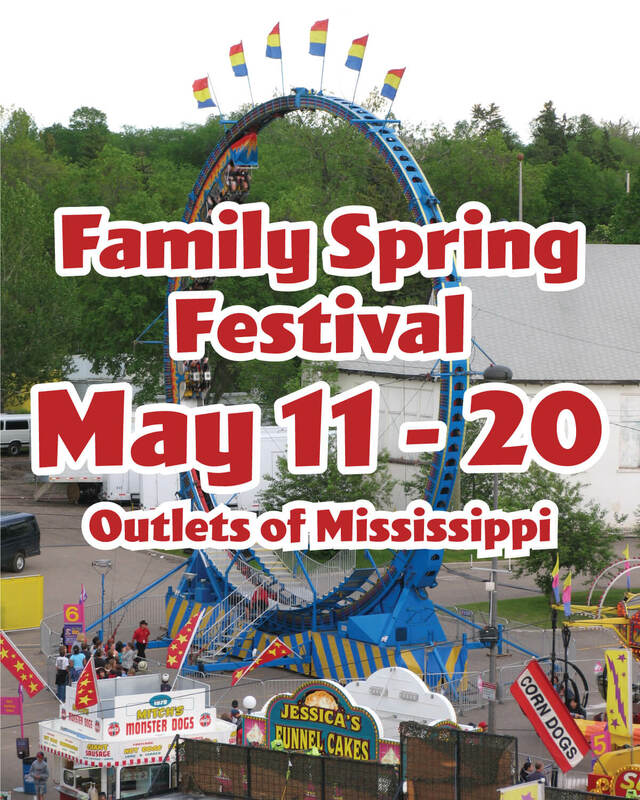 Back for the third year in a row, this highly anticipated Family Spring Festival will provide fun and excitement for eight days for families and individuals looking to kick off their summer and celebrate the end of the school year! Guests will enjoy thrilling rides such as the Mega Loop, Speedway, Himalaya as well as classics like the Super Slide and Tilt a Whirl. And it wouldn’t be a carnival without poppers, corn dogs, French fries and of course funnel cakes! There will be plenty of games for kids and adults to enjoy as well. Each wristband is good for unlimited rides on the day of purchase. Each rider needs their own wristband. If a child is under 42″ it might be a better option to buy individual tickets in case they can’t get on many rides due to safety/height restrictions. Grab the kids, call up your friends and come enjoy carnival fun! See y’all at The Connection!